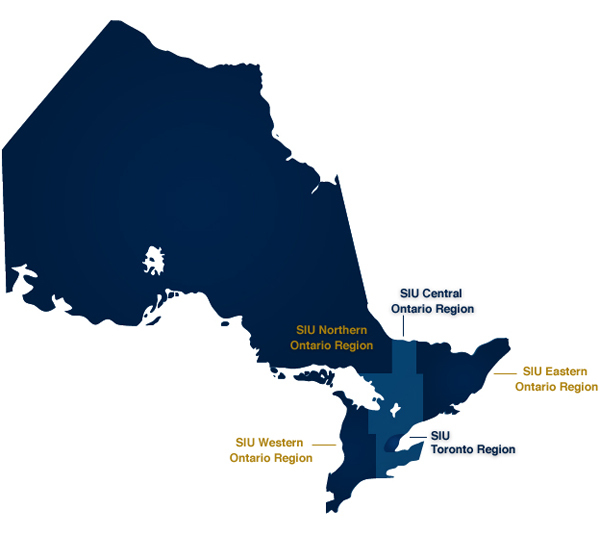 The SIU tracks incidents by the following: case type, police service, region, average number of investigators assigned to incident, average response time, and limited demographic data on SIU complainants. These statistics have typically been made available through our Annual Report. Case statistics for each region are further categorized by population data available from Statistics Canada. This allows for comparison of the SIU’s caseload by population percentages. Please note data made available here covers case information collected from years 2005 to 2015. To view statistics on a particular region, click on the area.